Public pianos are one of those great ideas you rarely see work, at least not in person. Usually it’s just curious strangers banging random keys just for the heck of it, but thank God we have YouTube because little bits of magic like this one would have gone unnoticed. 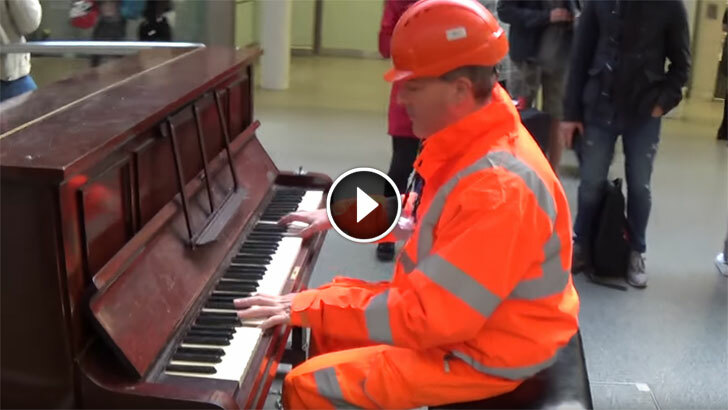 At London’s St. Pancras station, in the middle of all the commotion you could hear the energetic boogie-woogie, a sure sign some talented player is using a public piano placed nearby. But more than the music that was played it’s WHO was playing it that surprised me the most. You sure can find talent in the most unexpected places.